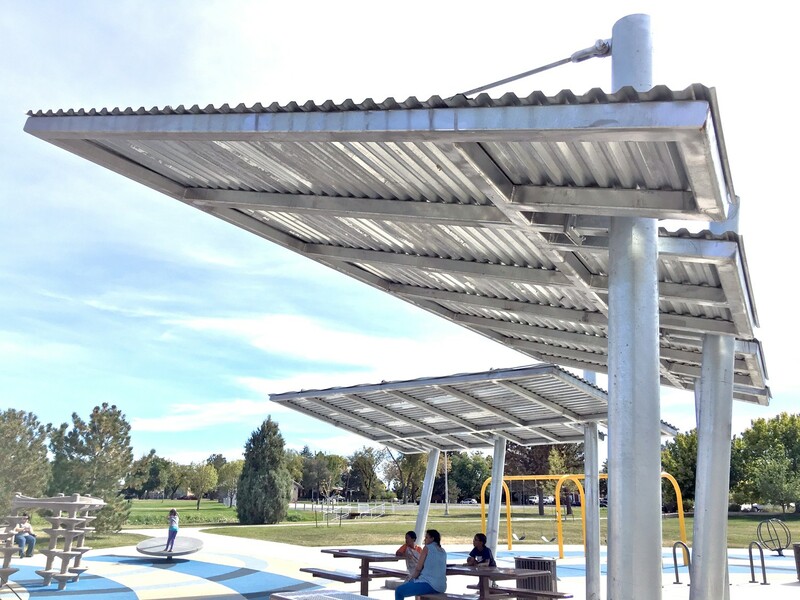 Mundus Bishop teamed with studiotrope to design the park structures at Del Mar Park in Aurora. The design hinged on connecting elements from the pool house into the landscape. By repeating materiality and other tectonic features of the pool house, studiotrope was able to create shade structures and other public amenities that felt connected to the main building while keeping playful interaction with the landscape of the park.